Lichens are important components of the biological diversity. The lichen genus Solenopsora has the Mediterranean basin as the centre of its range. However, two species, S. cesatii a S. candicans, reach the Slovakian Western Carpathians. A pilot study showed that this genus could be polyphyletic. Following this study, a recent work has been trying to disentangle the evolutionary relationships within the genus. However, so far, only extra European material was analyzed (Australia and Asia). The objective of this project is to unravel the phylogenetic relationships within the European groups of genus Solenopsora, with emphasis on entities in basal positions and evolutionary closely related outgroups and relate it with species ecology. 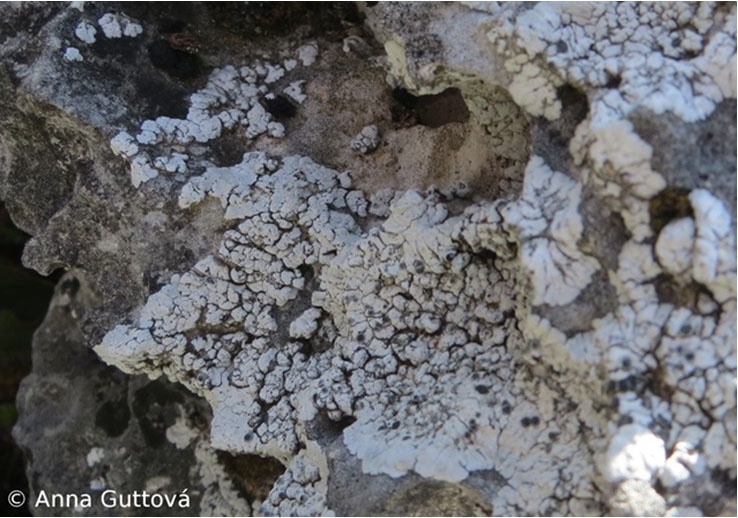 This will be done by collecting material in Portugal which will be used to complement a dataset comprising sequences of several regions of fungal DNA enabling the reconstruction of the phylogenetic relationships of this lichen genus. Scientific and Technological Cooperation between FCT and Slovakia 2016/2017. Institute of Botany, Slovak Academy of Sciences (Slovakia). Project team (Slovenia): Anna Guttová & Zuzana Fackovcova.